Dramatic Circumstances: On Acting, Singing, and Living Inside the Stories We Tell author William Wesbrooks was recently featured on GetAcceptd! In this blog post, he provides advice for performing your best audition ever! This is what you do: Give yourself one minute — one full minute — to engage your brain, your imagination, and your power of concentration to move yourself away from nervousness and into your dramatic circumstance. Living inside your story is a much more powerful, and fun, place to be than waiting in a crowded room for your name to be called. Determine your other — the person to whom you are singing. By taking these steps you will learn how to become a part of the story you are telling, and as you spend this time “living inside” your story, you will find that your dramatic circumstance comes to life, your “other” comes to life, and — most importantly — you come to life with increasing clarity, power, and freedom. Most importantly, you will also discover that the time it takes to get inside your story — to get inside each song you prepare — will get shorter and shorter. Any performer, from the novice to the experienced professional, knows that fear is the thing that can too often keep us from doing our best work. Fear can erase hours of practice, a well-developed technique, and — most critically — our belief in our own ability. I find — based on my experiences as an actor, director, writer, and teacher — that the steps laid out in the Dramatic Circumstance process are a consistently effective and powerful way to combat the effects of fear on a performer’s work. The musical theatre technique blogger, The SAVI Singing Actor, has written a comprehensive review of William Wesbrooks’ Dramatic Circumstances. Check it out! Yes, this is my story, but it’s also the story of Bill Wesbrooks, Director of Vocal Performance at the Steinhardt School of Culture, Education and Human Development at NYU. The difference between Bill and me is, he’s actually written the book. 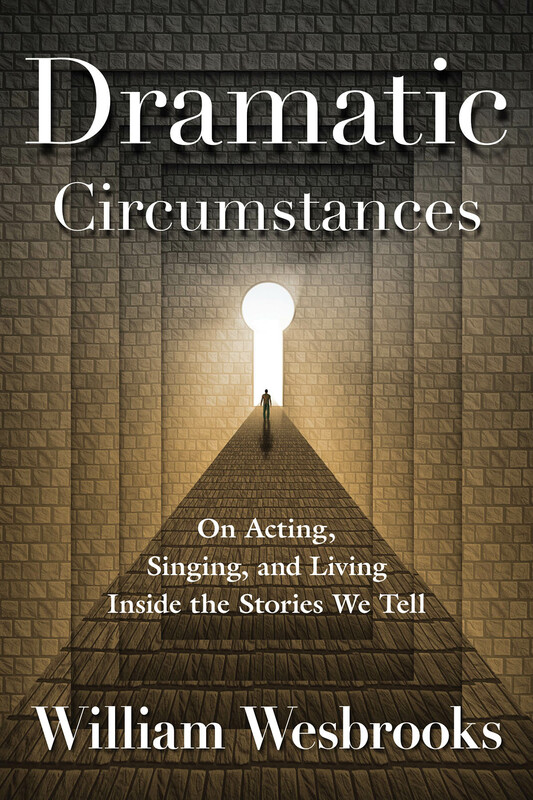 It’s called “Dramatic Circumstances,” it was published a few months ago, and it’s a great addition to the literature of singer-actor training. 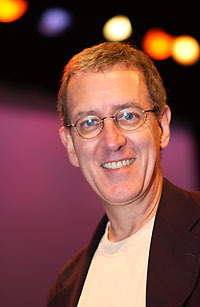 William Wesbrooks studied psychology, theatre, and music in preparation for his theatrical career, which, in its 40 years, has encompassed performing, directing, playwriting, and teaching. In his new book, Dramatic Circumstances, Wesbrooks shows how actors can “live inside” the stories they tell in a way that brings them to life for them and their audience. In a recent article in The Atlantic, titled “How Actors Create Emotions: A Problematic Psychology,” Judith Ohikuare writes that “fully inhabiting the mind, mannerisms, and reality of a fictional character can be as alienating as it is rewarding.”Here, Wesbrooks looks at where acting intersects with brain science and psychology. The acting process presented in Dramatic Circumstances can have a significant impact on the way singers and actors tell their stories, and I think that brain science offers intriguing insights into why that process works. Brain science is an ever-growing field of study that endeavors to address any number of mental, emotional, and physical issues that trouble many people, and I realize that applying that science to the study of acting may appear somewhat frivolous. However, in the best of worlds actors tell stories about what it is to be human, and I believe that we are all better off because these stories get told. It only follows that these stories have greater impact when they are told truthfully, in a manner that really looks inside human behavior and the human condition. Years ago I was told that the subconscious mind has no sense of humor. This struck me then as an extremely useful idea when applied to the art and craft of acting, and it has proved invaluable in the development of the dramatic circumstance process. The ideas we plant in our subconscious mind are, as far as that particular part of our mind is concerned, true. I believe that an actor’s subconscious mind evokes responses and inspires action in circumstances that are entirely imaginary because key components of the actor’s brain do not realize that those circumstances are, in fact, imaginary.While it is certainly not necessary for actors to understand brain function in order to live truthfully “inside the stories we tell”, I find it a compelling way to think about acting. It is certainly something worth exploring.